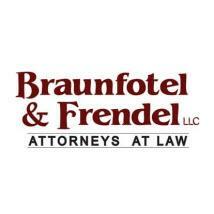 Preparation, selectivity and dedication to clients, combined with a profound and intimate knowledge of the law, are the hallmarks of Braunfotel & Frendel, LLC. No firm is more aggressive in protecting its clients' interests or effective in the management of its cases. Our firm is devoted to representing seriously injured individuals in negligence, medical malpractice and workers' compensation. In addition, we represent individuals in criminal defense matters involving felonies, misdemeanors and traffic infractions including driving while intoxicated. Many of our cases have been featured in The Journal News. Our mission is clear: to provide exceptional client service to all of our clients, small, medium and large. Our clients expect, and we strive to deliver, effective and efficient legal services while still retaining the old-fashioned relationship of trust and confidence. We are small enough so that no client feels lost in a huge firm. We are also large enough so that we can bring to bear the necessary resources that meet the needs of our clients. While our practice areas are defined along traditional legal categories, we take a multidisciplinary approach to our engagements. Since a client's needs do not always involve only one legal field, we have diverse backgrounds and experience in addition to specific areas of expertise.